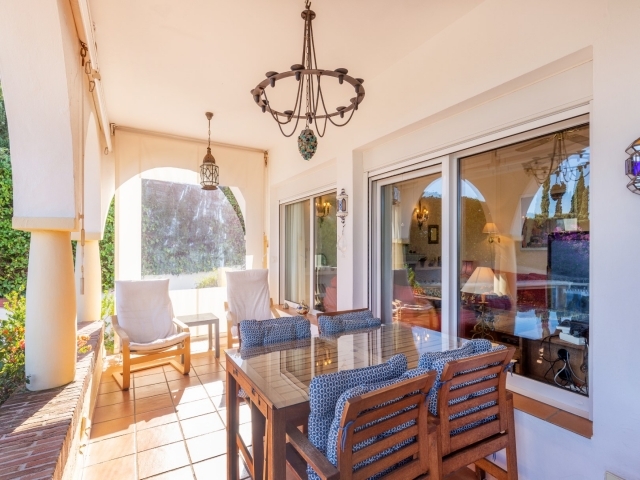 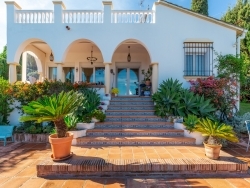 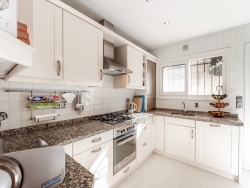 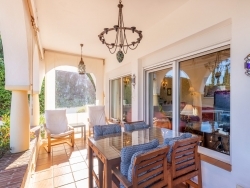 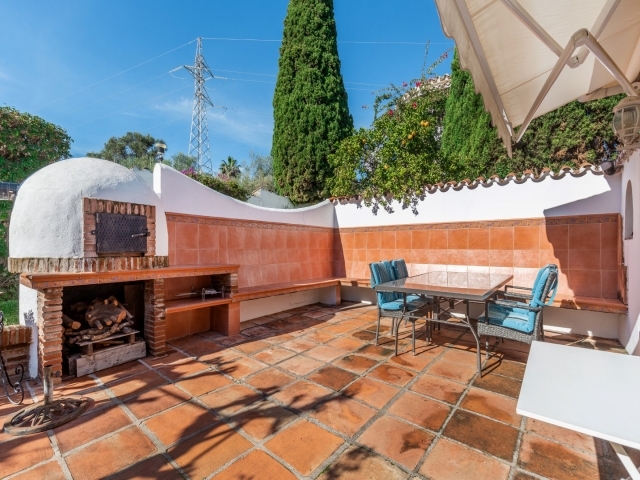 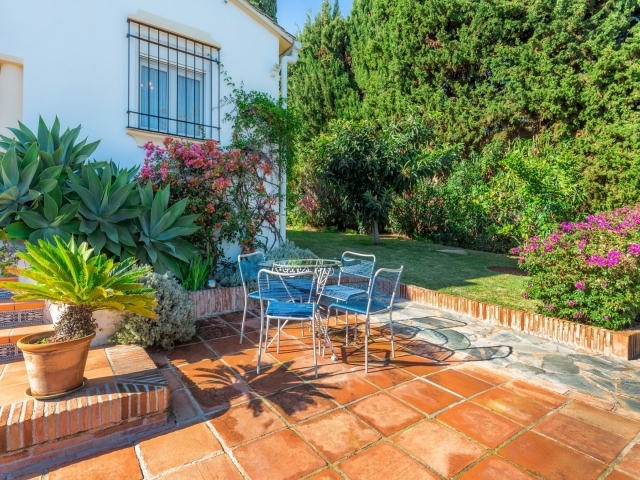 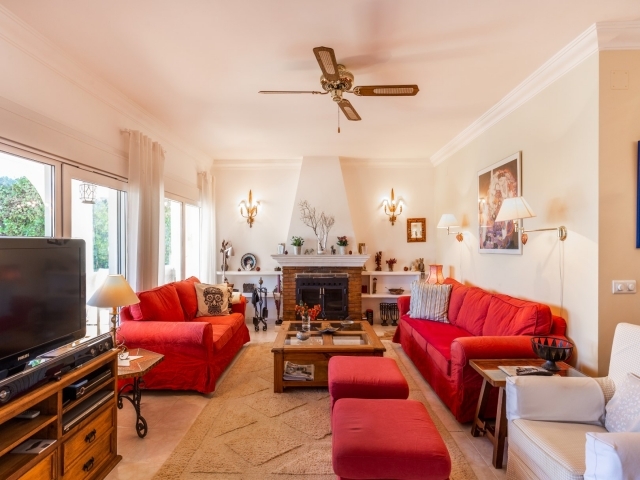 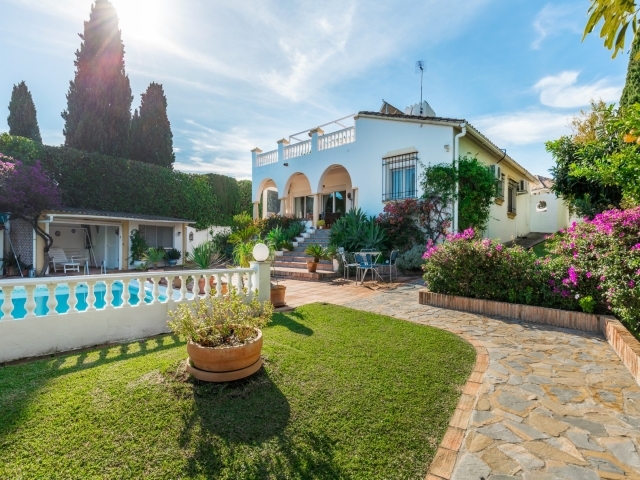 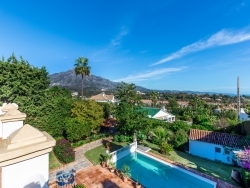 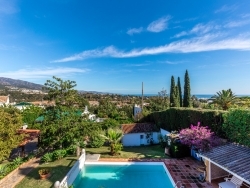 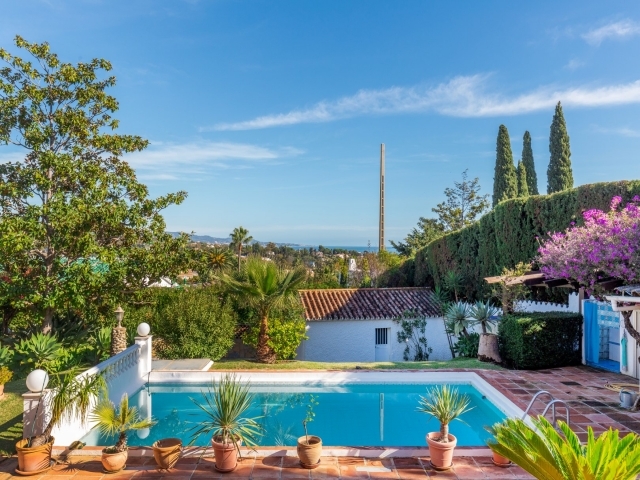 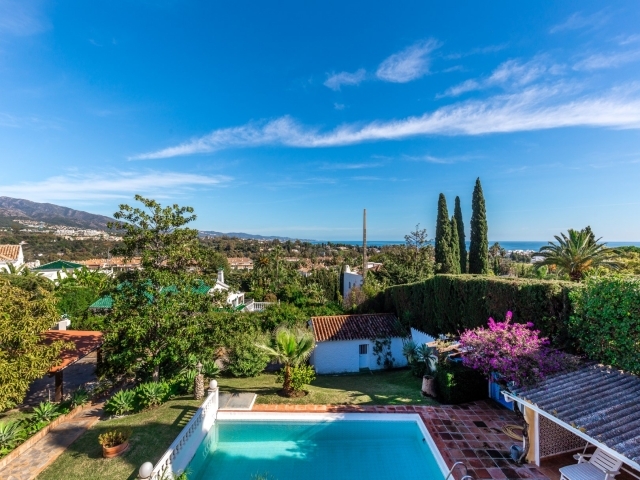 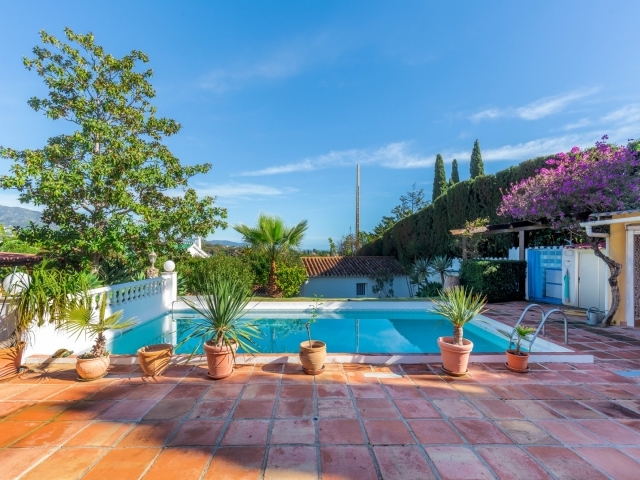 Delightful villa within walking distance to Puerto Banús! This villa is distributed over one floor and offers a combined living and dining room with a fireplace, 3 bedrooms and 2 bathrooms. 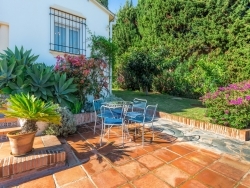 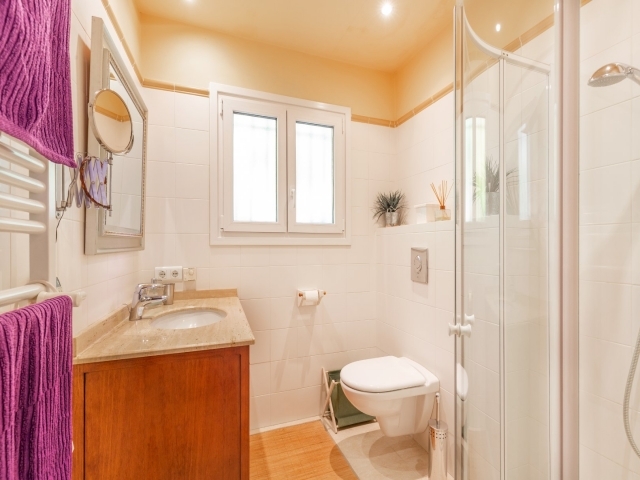 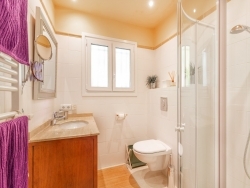 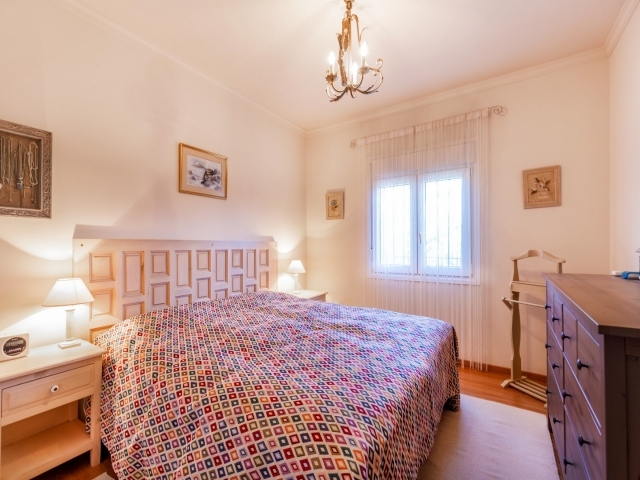 This cosy villa is easily maintained, very private and offers several different outdoor areas to enjoy the Spanish sun but also the shade when required. 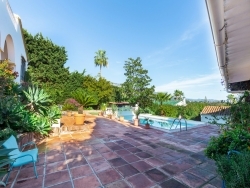 The mature garden is partly tiled with a private swimming pool and you also have both a separate garage as well as a car port. 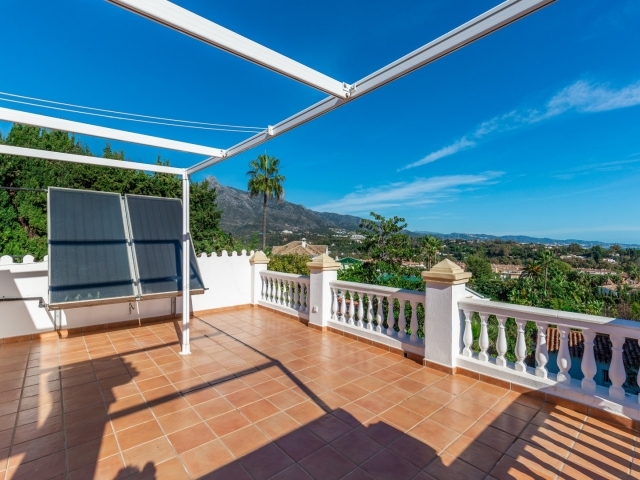 Thanks to being in an elevated position you will be surprised by the fantastic views!